Now in its 128th year the RQAS Members Annual is our longest running exhibition, this year’s show comprises of one hundred and twenty-seven artworks exhibited by 63 RQAS Brisbane Branch artists. 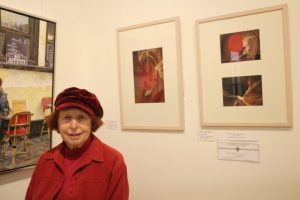 The exhibition was curated with style and flair by former gallery director of Petrie Terrace Gallery Peter Hubbard and award-winning artist Meredith Howse. John Kane and Marg Thomas delight the crowd, image by Joanne Heath. The exhibition was officially opened on the evening of Wednesday 27th by Professor John Kane with a rousing speech, and some words by RQAS President Marg Thomas. 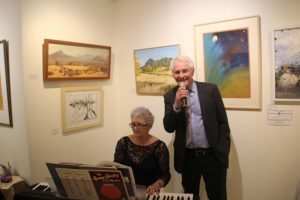 The pair also treated the crowd to some live music stylings with Marg on the piano and John on vocals. The opening event was a major success with over 100 people in attendance. 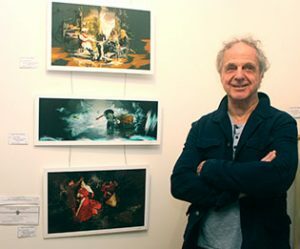 The difficult task of judging the outstanding collective exhibition was undertaken by award-winning artists Denis Brockie and Richard Blundell who commented on the diversity and quality of the work displayed. 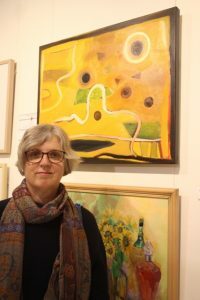 Vivenne Seattle with her award-winning piece “Yellow-scape” image by Joanne Heath. 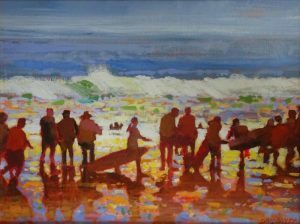 “The Beach Goers” by David Ladley. First Prize in Section 1 (Works on Canvas or Board) was awarded to David Ladley for “The Beach Goers” The judges commented, “The work has a strong painterly treatment that comfortably carries the narrative”. 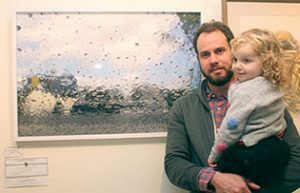 Casey Charles with his award-winning work “Not Impressed” image by Tracey Spalding. Second Prize in Section 1 (Works on Canvas or Board) went to Casey Charles for his charmingly sardonic piece “Not Impressed”. 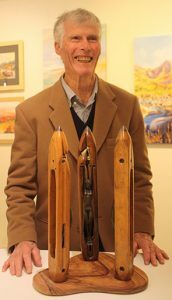 The Judges commented, “The piece is executed with assurance; the artist has nailed the expression”. First Prize in Section 2 (Works on Paper) was awarded to Kathy Sullivan for her piece “Unfurling” which the judges called “technically magnificent”. 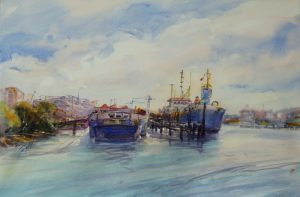 Second Prize in Section 2 (Works on Paper) was taken out by Tony Walker for his expressive work “Newstead Wharf” of which the judges said, “an interesting scene masterfully handled”. 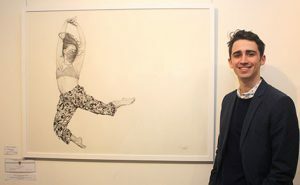 Carel Thysse with his award-winning piece “Medicine Dance Trevi, Italy” image by Tracey Spalding. 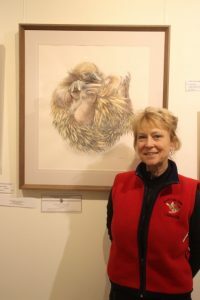 Susan Margaret with her award-winning piece “Sweetly sings the bird” image by Tracey Spalding. 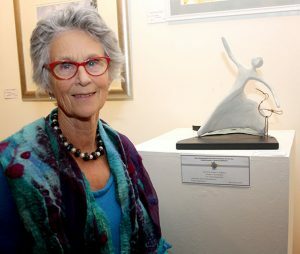 First Prize in Section 4 (Sculpture) was awarded to Susan Margaret for “Sweetly Sings the Bird”. 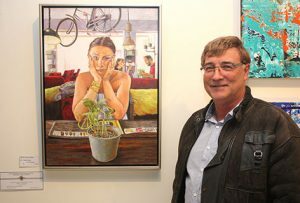 Bill Gale with his award-winning piece “Introspection” image by Tracey Spalding. Second Prize in Section 4 (Sculpture) went to Bill Gale for “Introspection”. Such was the quality of the work exhibited that the judges felt the following highly commended awards should be given out. The 128th RQAS Members Annual continues the tradition of celebrating our organisation and our artists with exemplary work. Exhibition continues until Friday 13th July, drop by the gallery Tuesday through Sunday to see this fantastic show or book an out of hours private viewing through our gallery directors Rochelle Lindquist and Vashti-Sita Bardsley. This entry was posted in Exhibitions, Latest News, RQAS News, Uncategorised and tagged art, exhibition on 2 July 2018 by Rochelle.